(WASHINGTON, D.C.) March 16, 2016 — Eight members of Congress will be recognized today by leading national conservation groups for their critical role in protecting the Endangered Species Act.The “Champions of the Endangered Species Act” reception will feature former Secretary of the Interior Bruce Babbitt and honor Senators Cory Booker (D-NJ), Barbara Boxer (D-CA), Tom Udall (D-NM), Sheldon Whitehouse (D-RI), and House members Don Beyer (D-VA), Raúl Grijalva (D-AZ), Betty McCollum (D-MN), and Niki Tsongas (D-MA). The honorees will be recognized by the Animal Welfare Institute, Audubon, Born Free USA, the Center for Biological Diversity, Defenders of Wildlife, Earthjustice, the Endangered Species Coalition, Environmental Defense Fund, the League of Conservation Voters, the Native Plant Conservation Campaign, the International Fund for Animal Welfare, the Natural Resources Defense Council, the Sierra Club, the Union of Concerned Scientists, WildEarth Guardians, and Wildlands Network. The Endangered Species Act is more at risk today than ever before, as several members of Congress continue to push legislative agendas designed to undermine the Act, threatening public lands and iconic wildlife. Collectively, the legislative attacks on the Endangered Species Act introduced by this Congress represent the most sweeping attacks since the landmark conservation law was passed 43 years ago. The repeated attacks come despite strong public support for the Endangered Species Act. 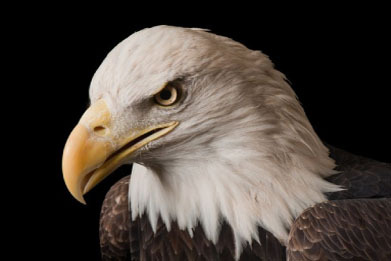 A July 2015 poll found that 90 percent of U.S. voters support the Endangered Species Act, affirming similar findings from previous polls over the last decade. UPDATE: View photos from the event here and if you are on Twitter, please congratulate these Champions of the Endangered Species Act through this page! I’m glad that these brave souls are standing up for our beloved wildlife and our beautiful lands that will be honored. It would be wonderful if there were more than just a handful but it’s a start! A heartfelt thank you for your place in our society where you can make a difference and start the revolution to saving our planet.